It is Christmas time and the shops are filled with mountains of Panettone and Pandoro boxes, just waiting to be devoured. These traditional Italian Christmas cakes steadily trickle into every Italian home and soon their houses resemble a supermarket, with several cakes boxes piled high and proudly displayed. But what is the difference between Panettone and Pandoro, and which should you choose? Well, personally I usually go for Panettone, it is delicious toasted for breakfast and the smell fills the air with that unmistakable scent of Christmas! A favourite of mine, is the one which contains Grand Mariner, (which I don’t have for breakfast, in case your were wondering!). It is smothered in thick chocolate, which combined with the Gran Marnier, makes it luxurious and delicious! Well, if you can’t indulge at Christmas when can you! OK, back to the comparison, the obvious difference is the shape; a Pandoro resembles an 8 sided star, whilst a Panettone is cylindrical, and it contains sultanas and candied citrus peel. Each contain flour, butter, eggs and sugar, but the quantities vary. 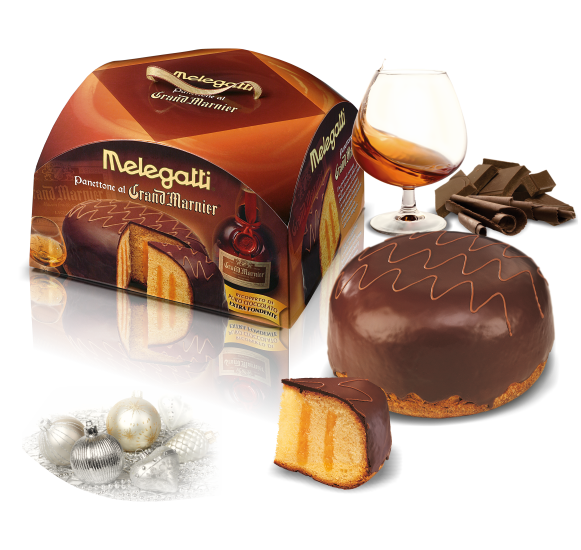 For example, the Pandoro contains more eggs giving it that golden colour. In fact the very word ‘Pandoro’ means ‘bread of gold’, in Italian ‘pan de oro’ and it was typically linked to wealthy families. It originated in Verona. Whereas the Panettone originated in Milan and means ‘big bread’. But that’s not all, typically the Panettone is left to rise for about 2-3 days while the Pandoro takes several hours. That is incredible, it takes hours/days to create and a mere moment to eat! So, which one is your favourite, Panettone or Pandoro? Let’s have a vote!… Just for a bit of fun!